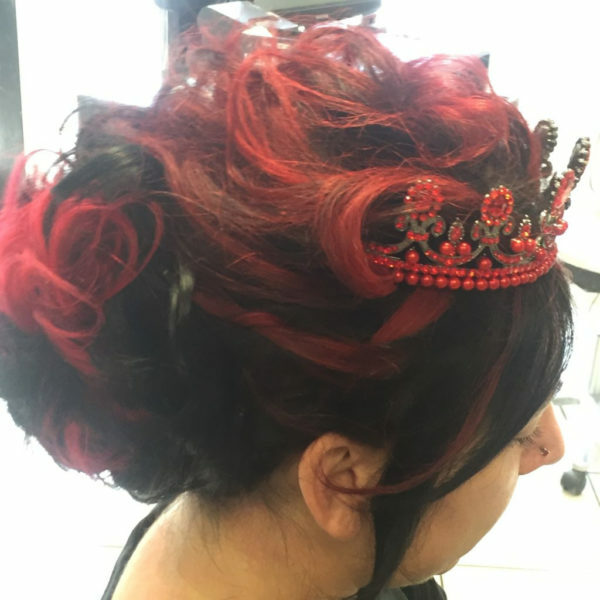 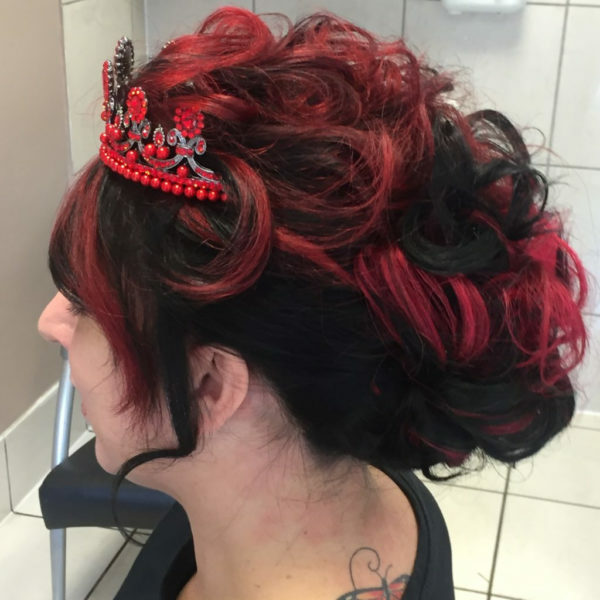 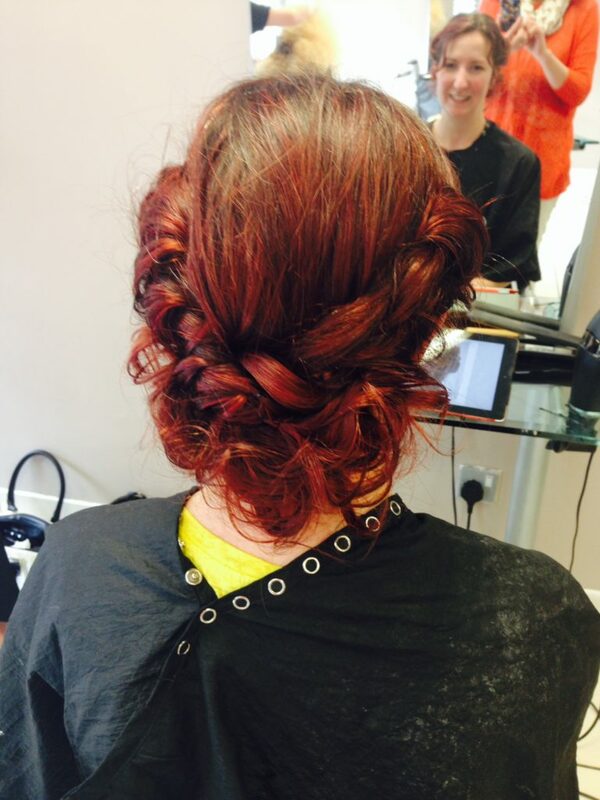 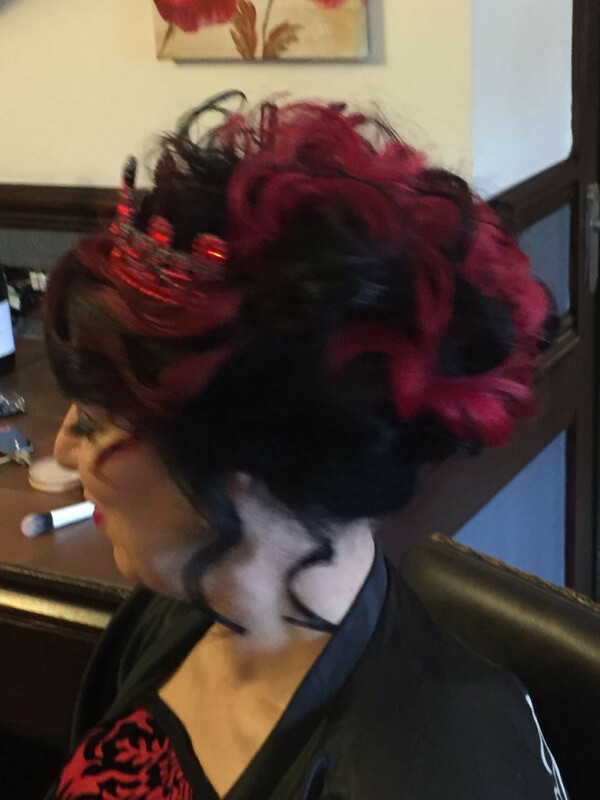 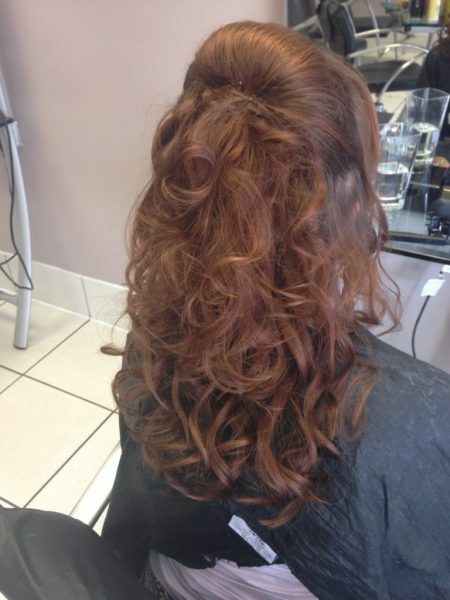 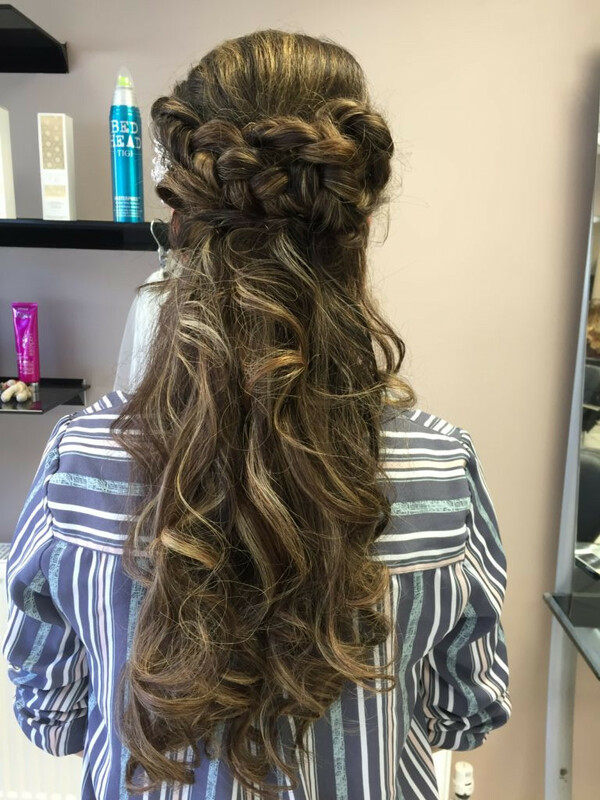 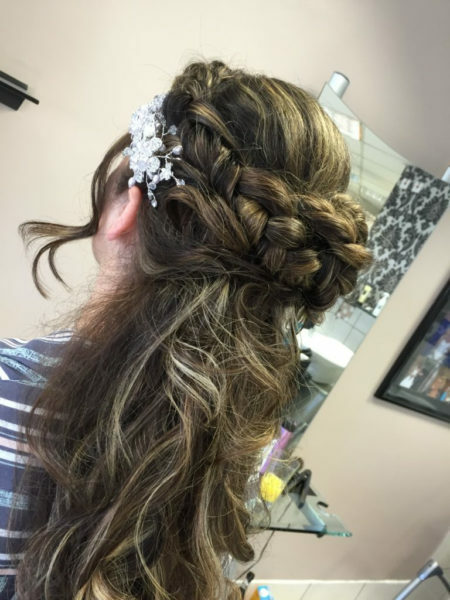 Weddings are a time for fairytale extravagance and your hair is no different. 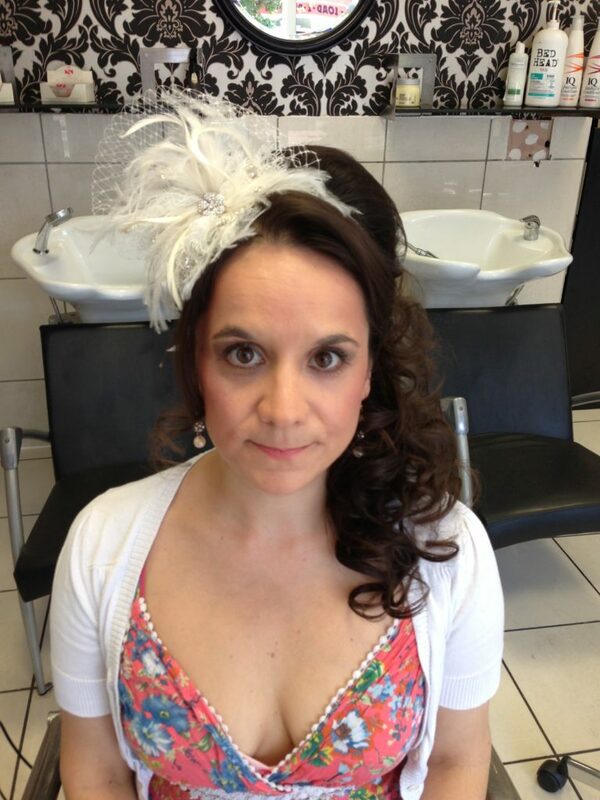 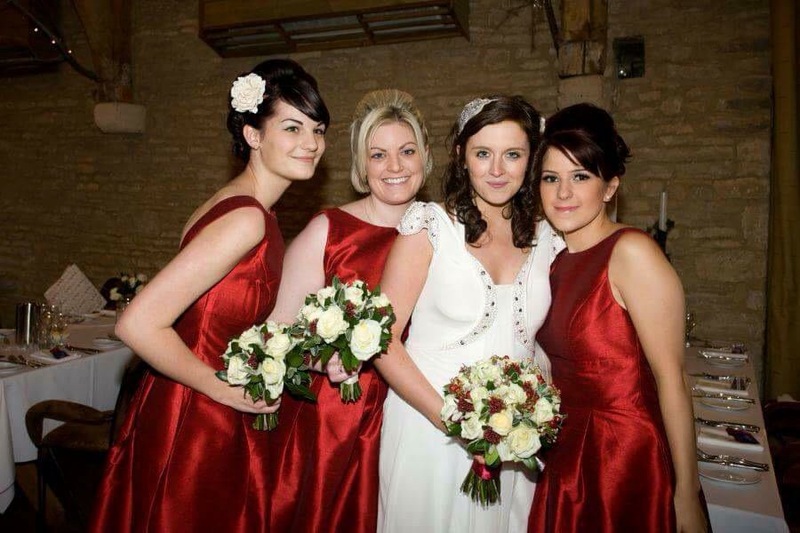 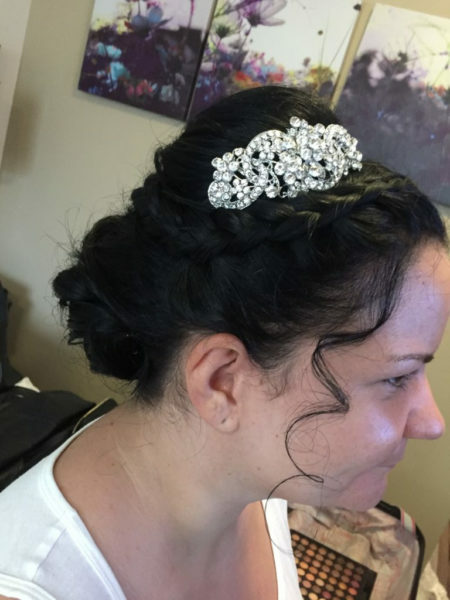 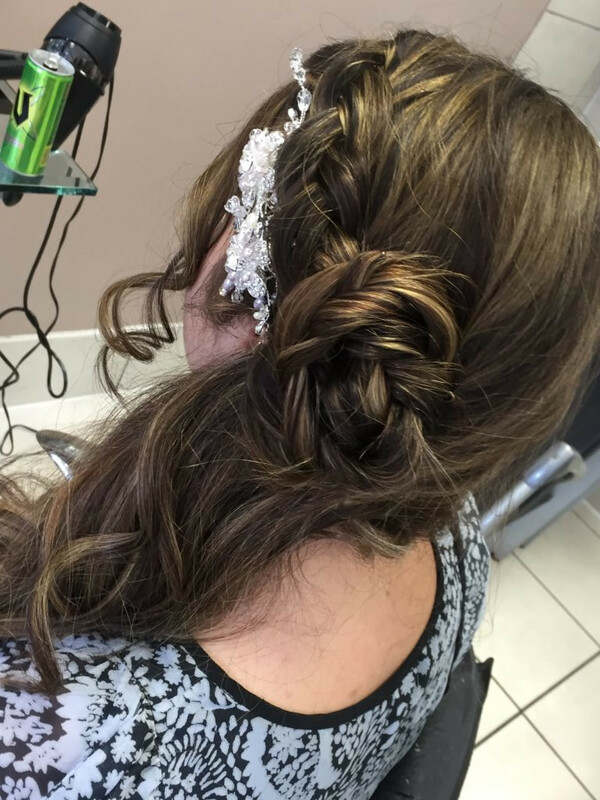 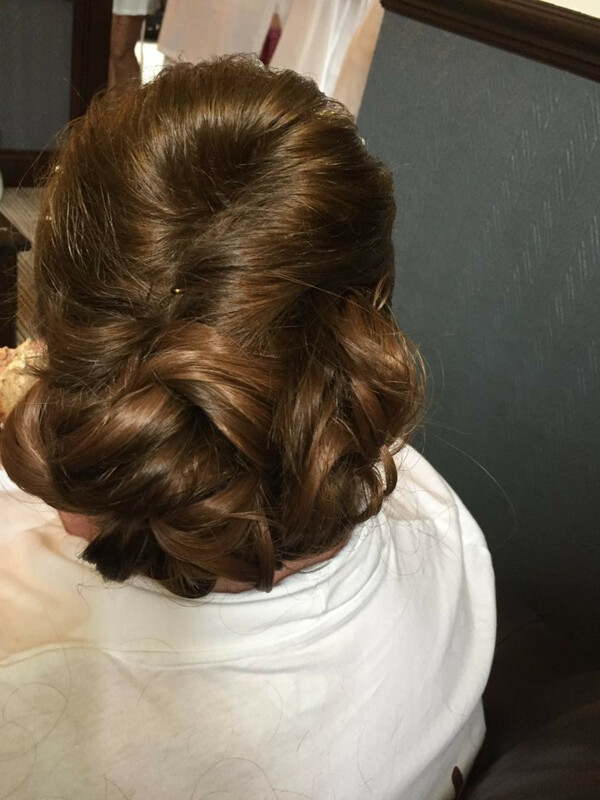 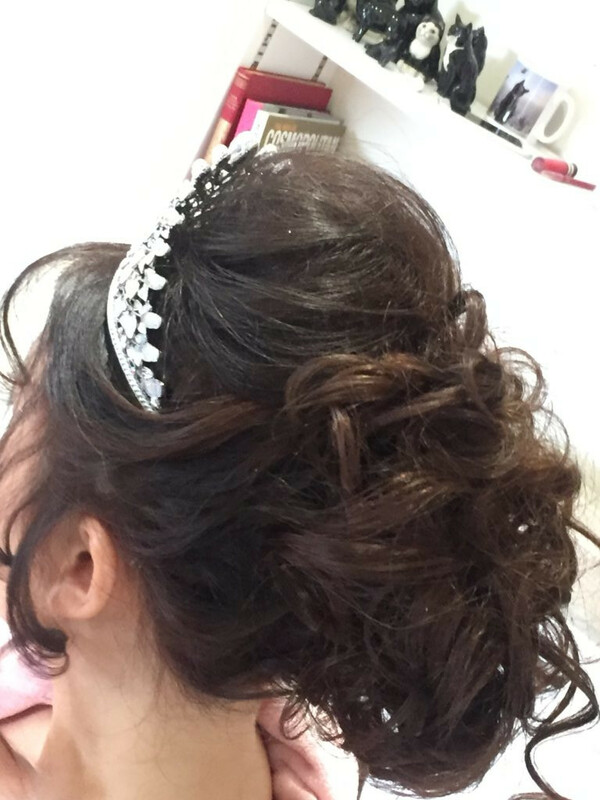 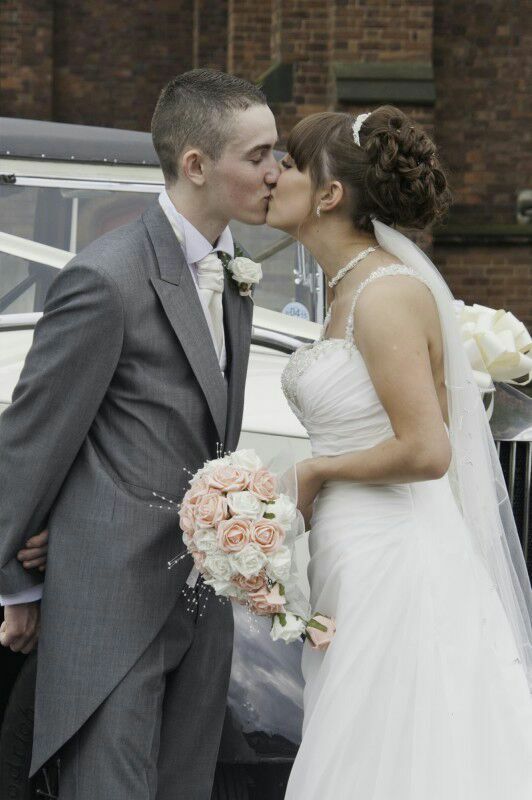 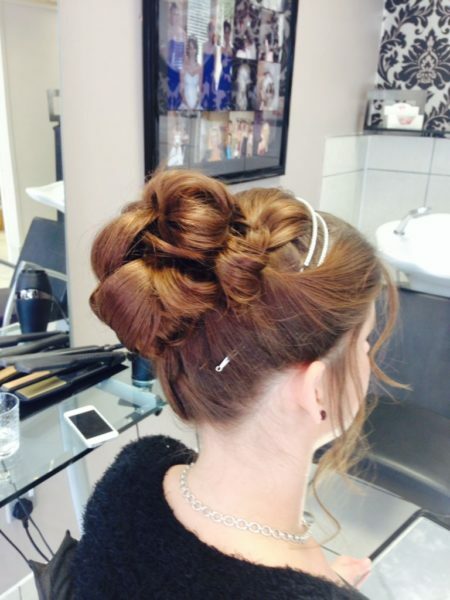 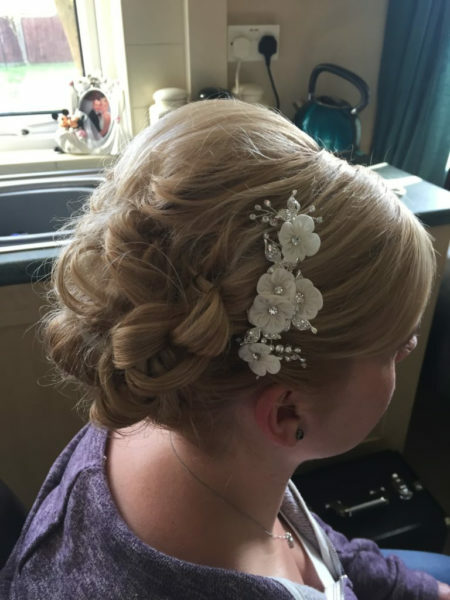 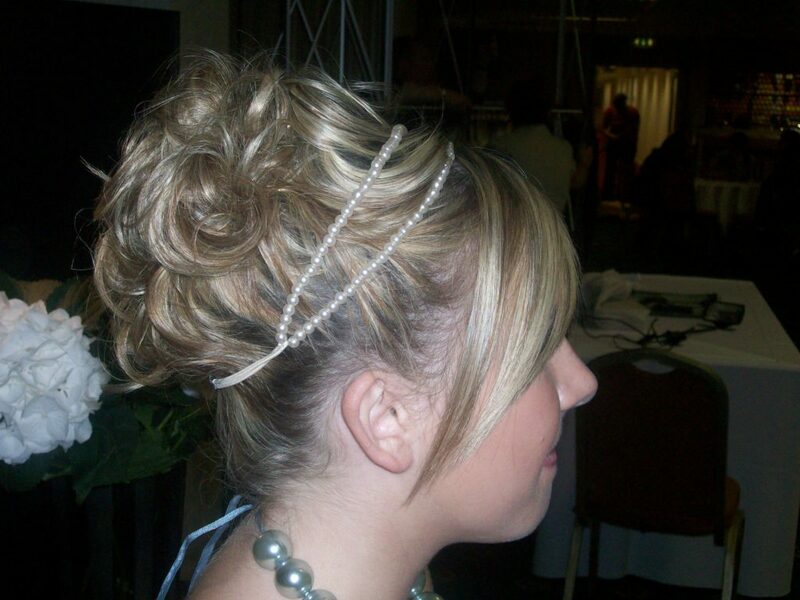 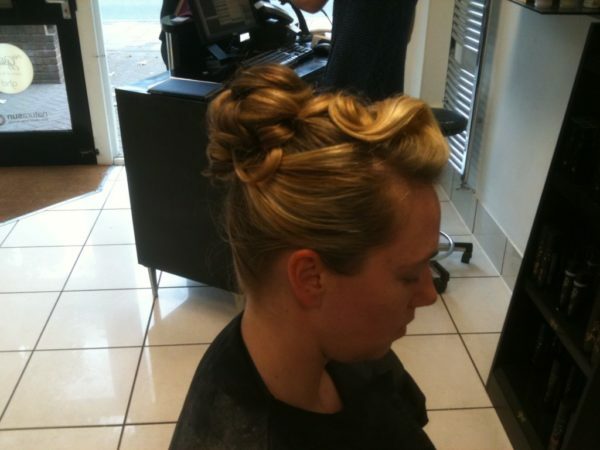 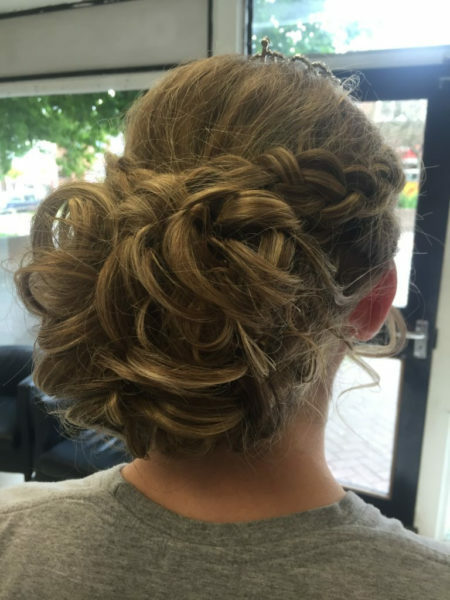 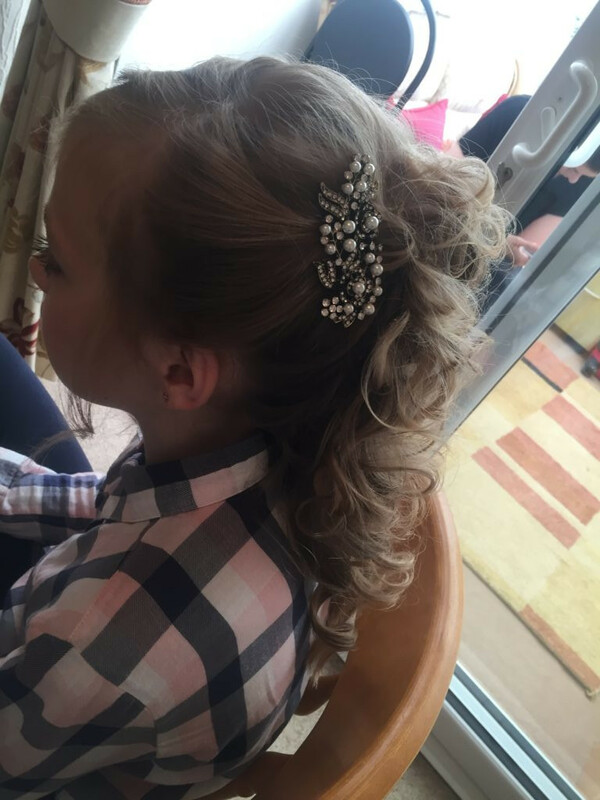 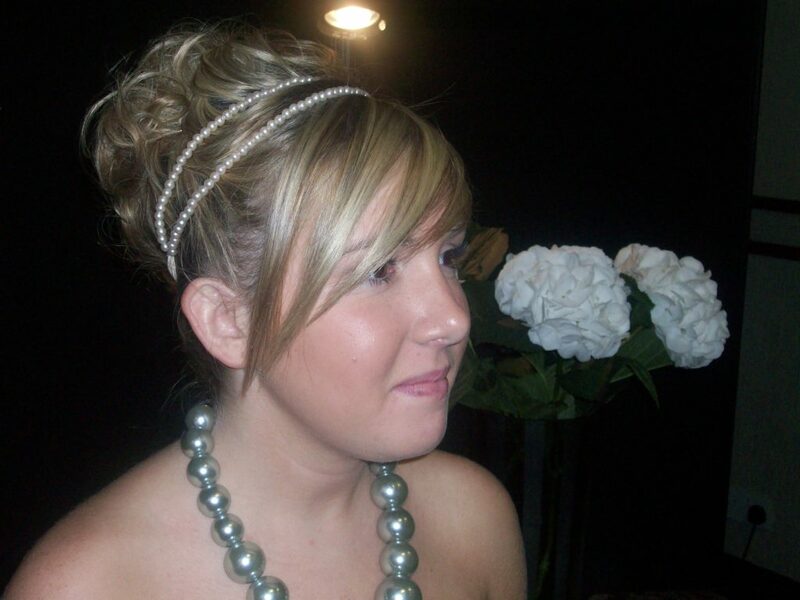 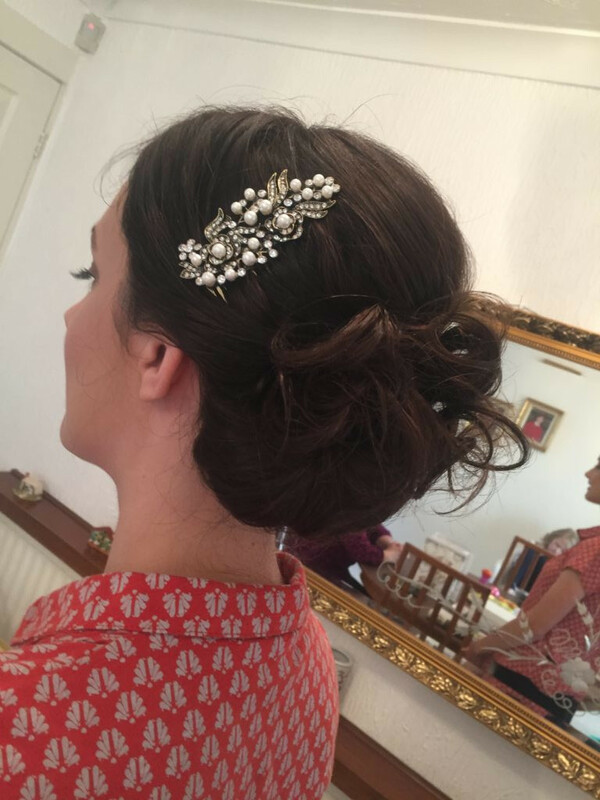 We master beautiful bridal hair to make you look and feel stunning on your special day. 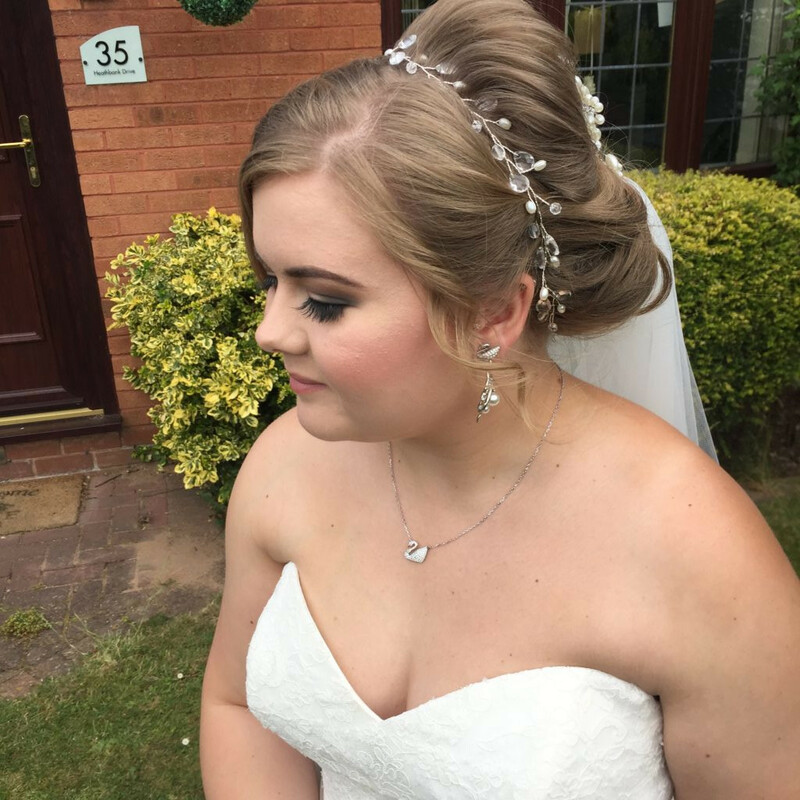 The important thing for me as a bridal specialist is gathering as much information about your requirements as possible for your special day. 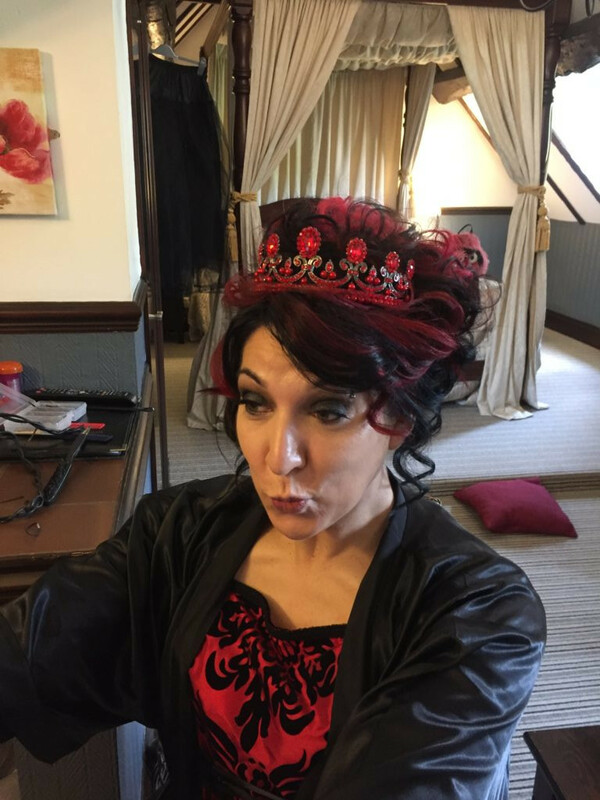 This will help me advise you on styles, hair accessories and veils to help create the perfect look for you for you and your Bridal party. 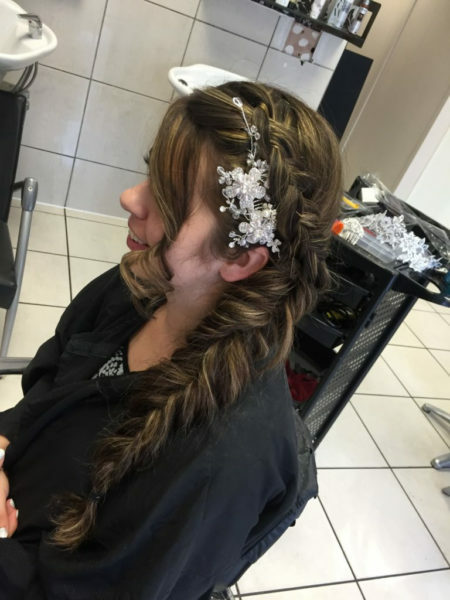 You will be encouraged to collect pictures from magazines pinterest etc… and to bring them in with you. This consultation is all about you and I will listen and understand all of your requirements. 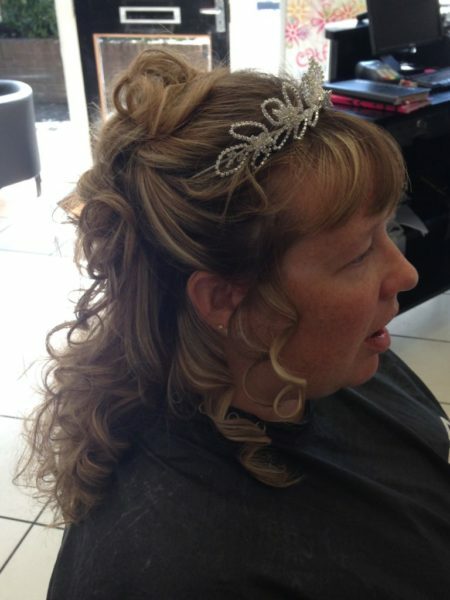 There is no practice on this consultation it is purely to decide on the style choice. 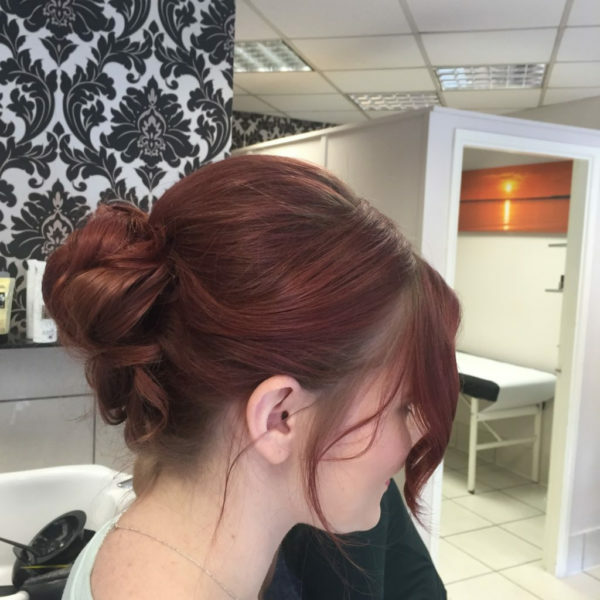 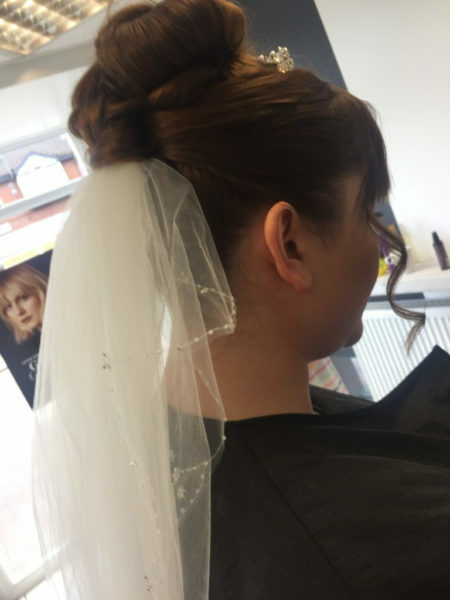 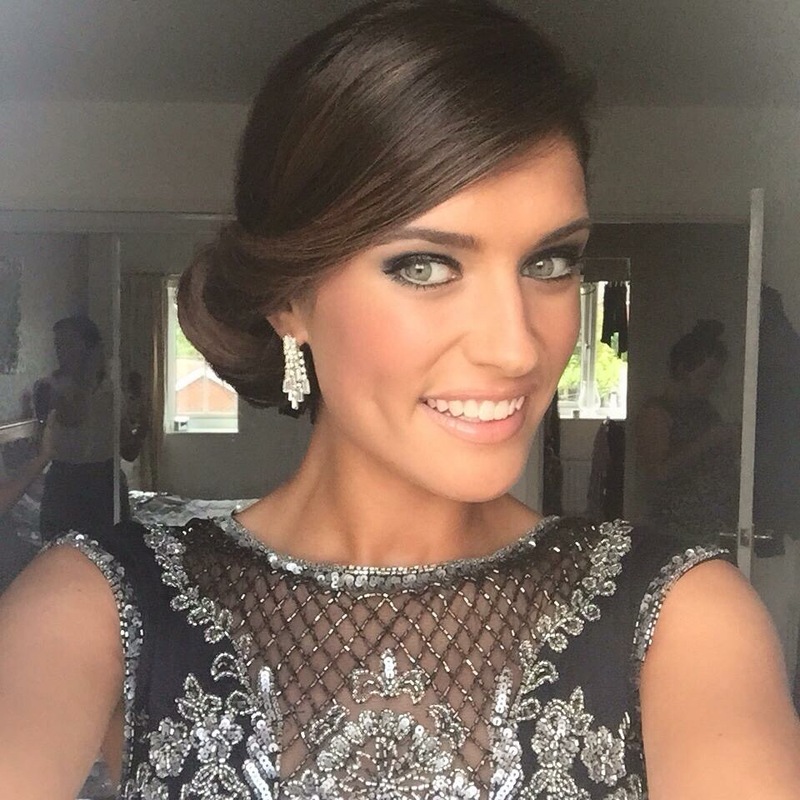 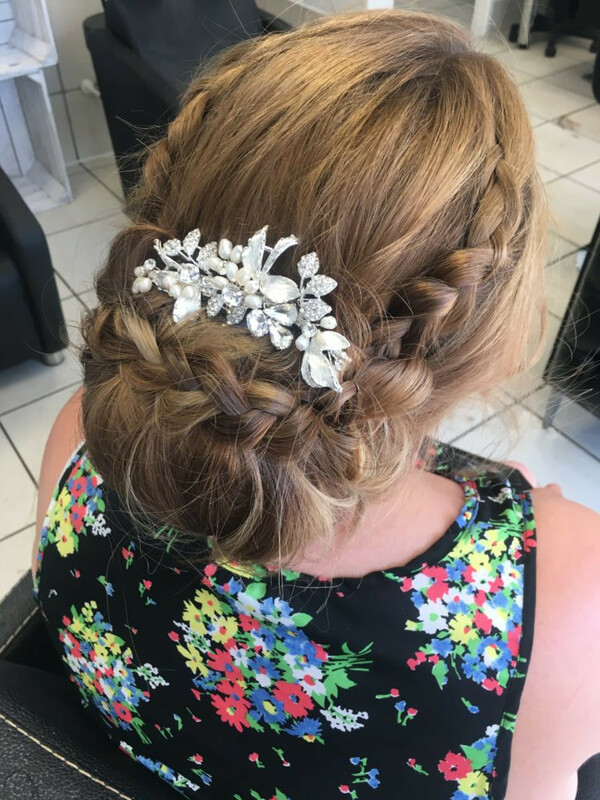 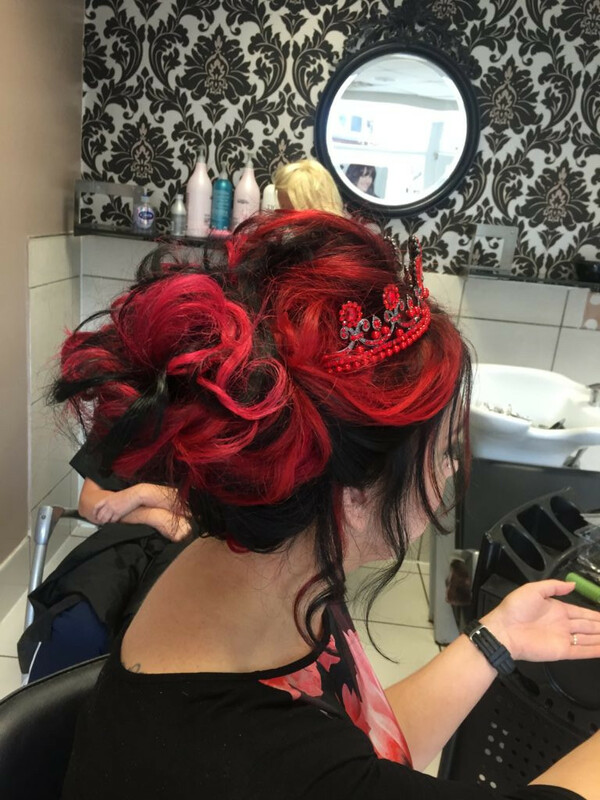 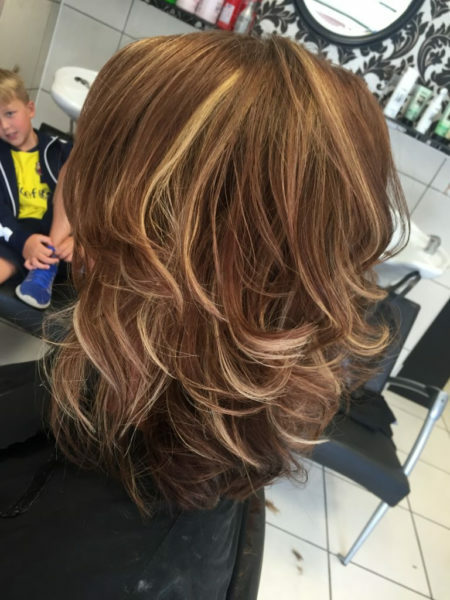 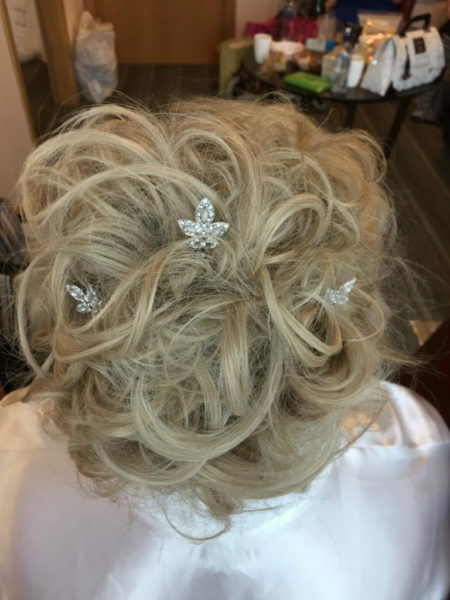 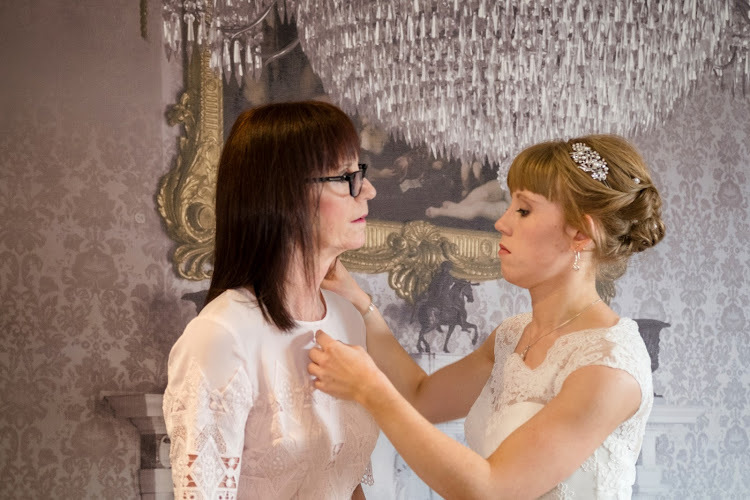 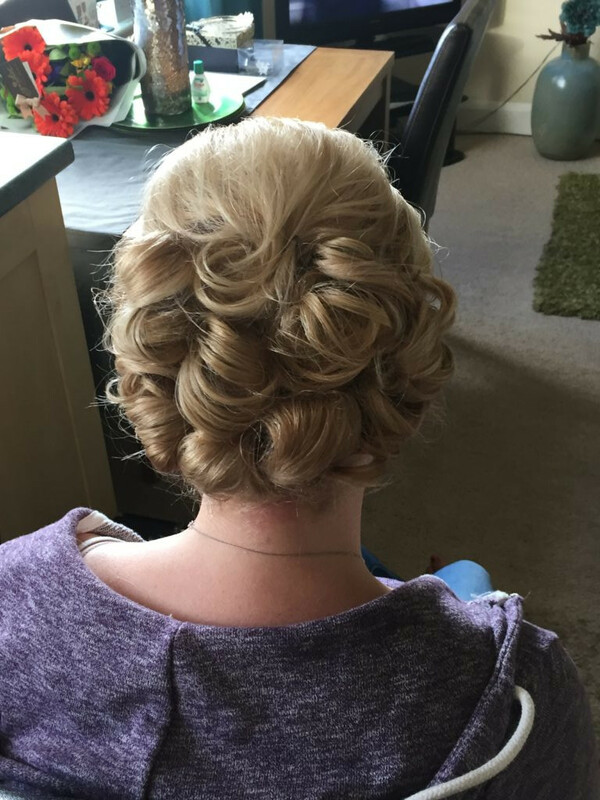 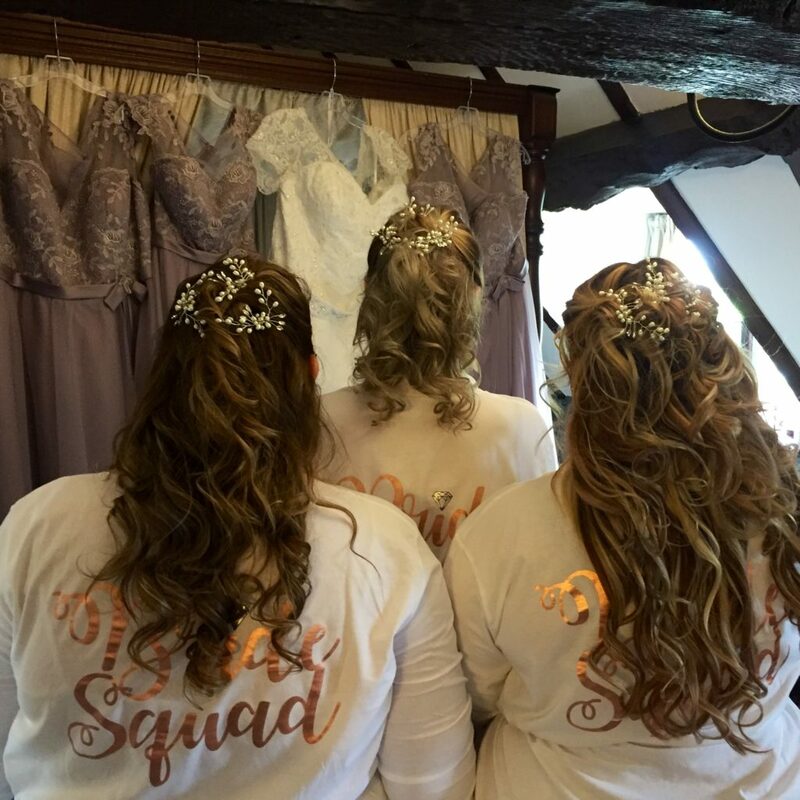 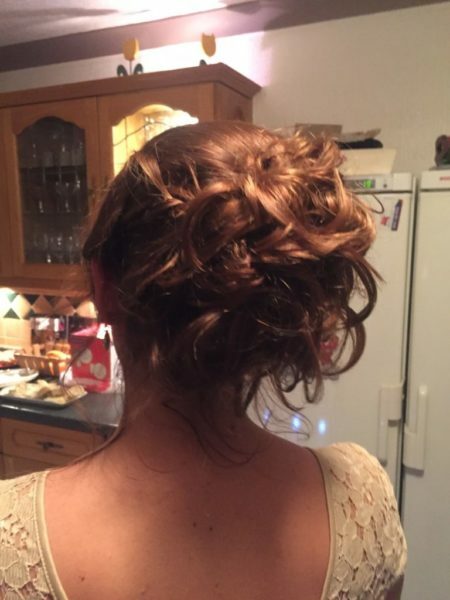 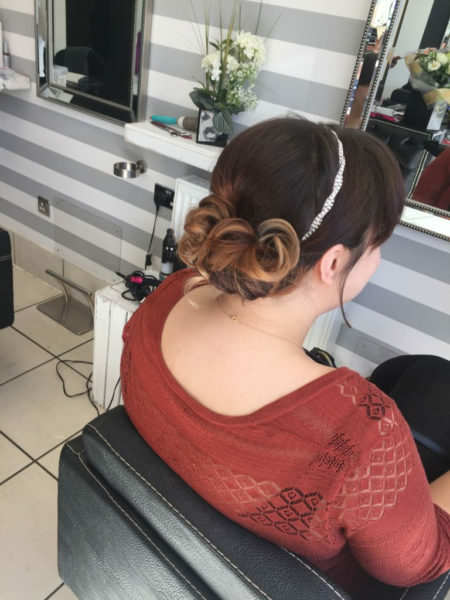 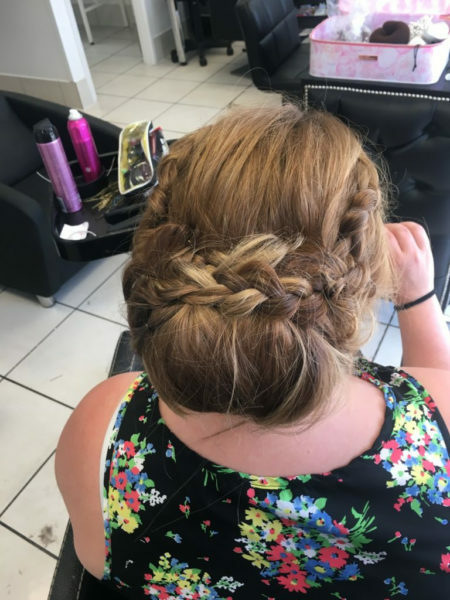 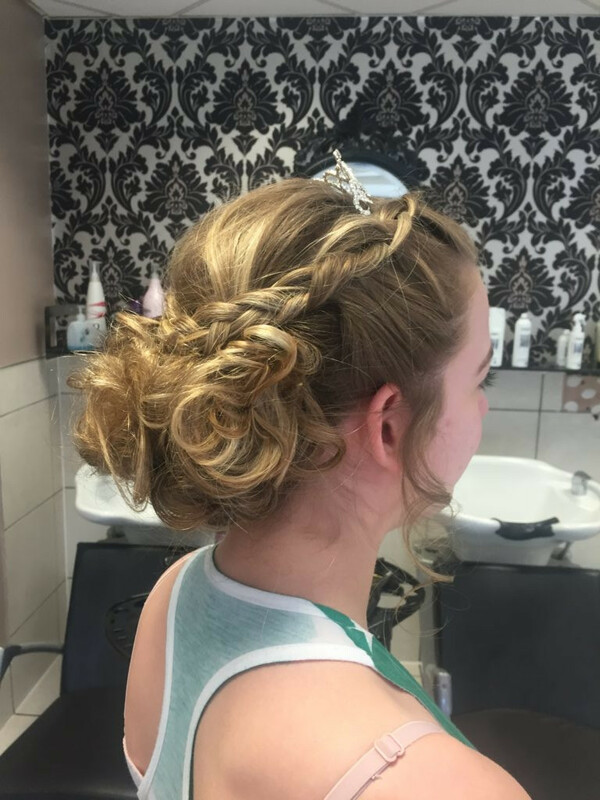 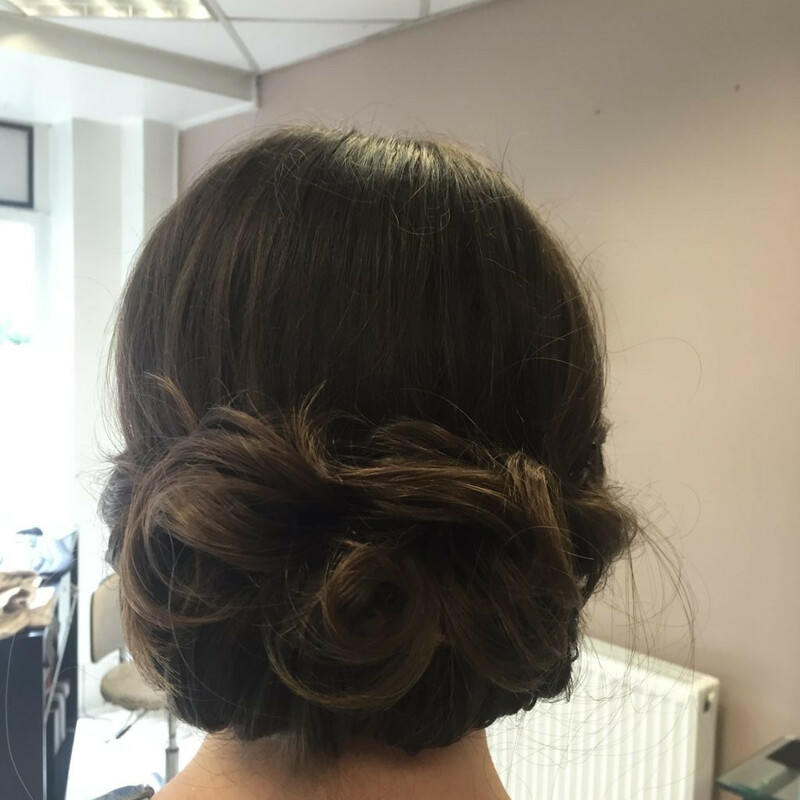 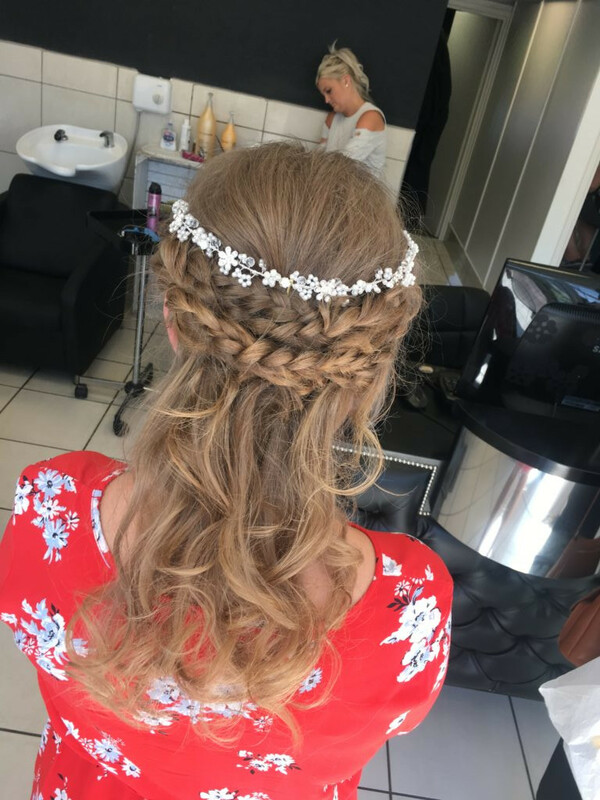 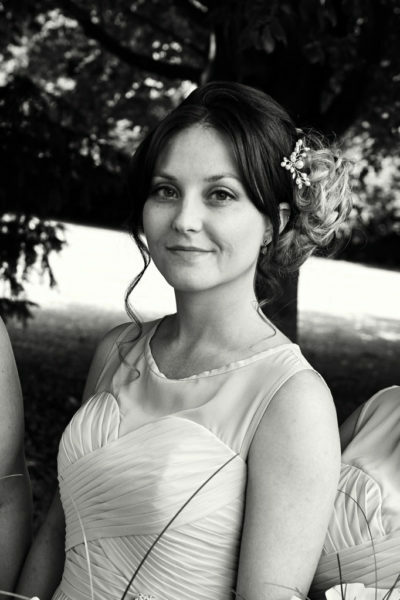 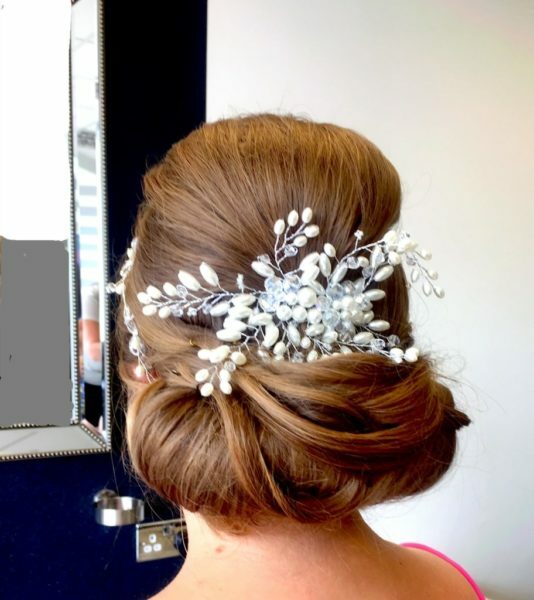 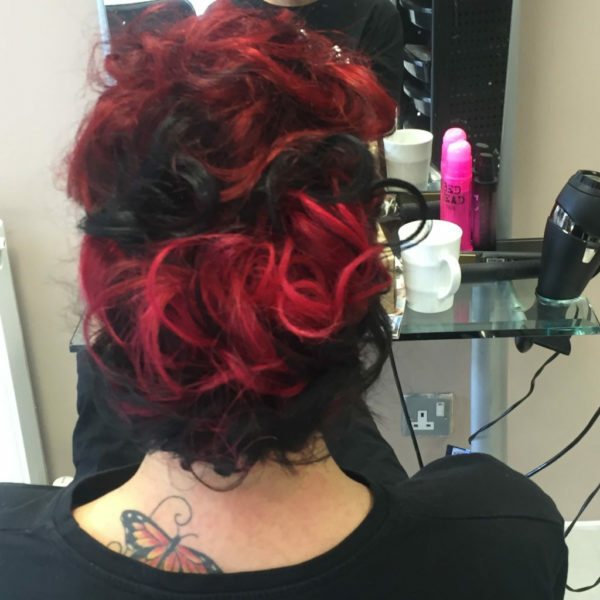 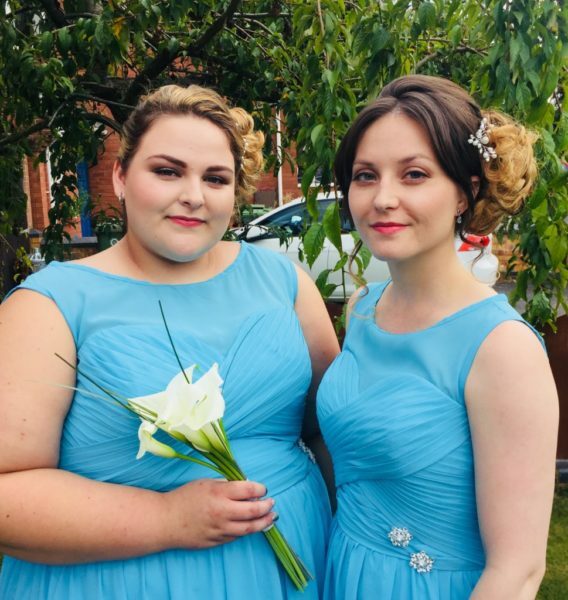 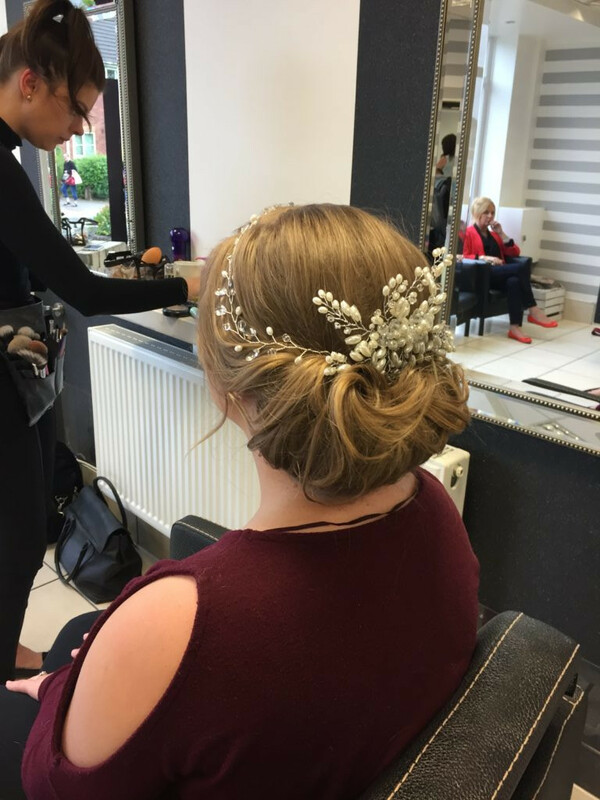 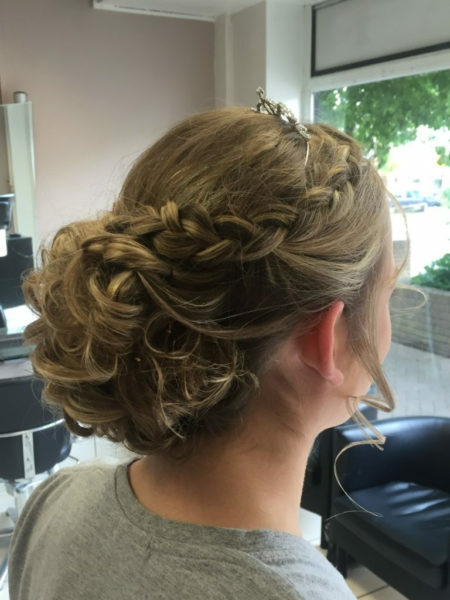 Hair trials are normally recommended 10-12 weeks before the wedding, The reason I say this is you will have had a final dress fitting and feel more confident of what style you are looking for. 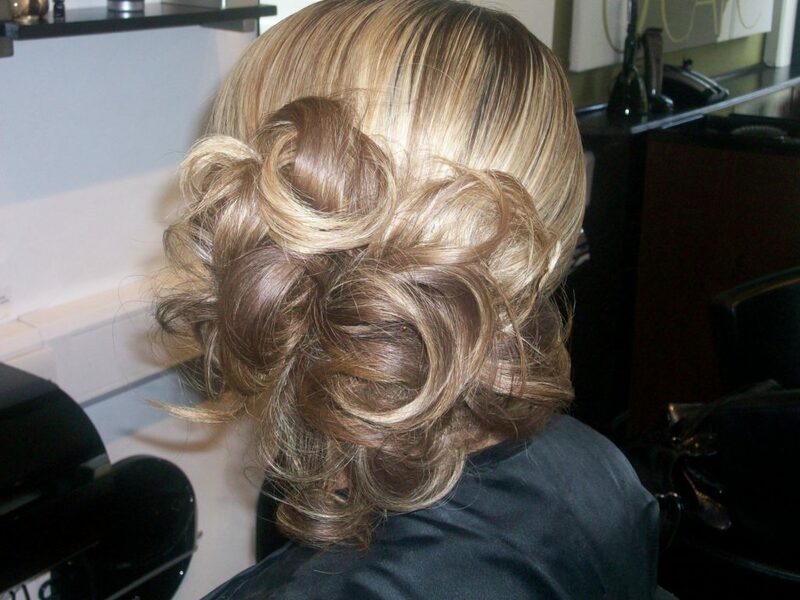 Your hair will also reflect the correct length of your hair for the day. 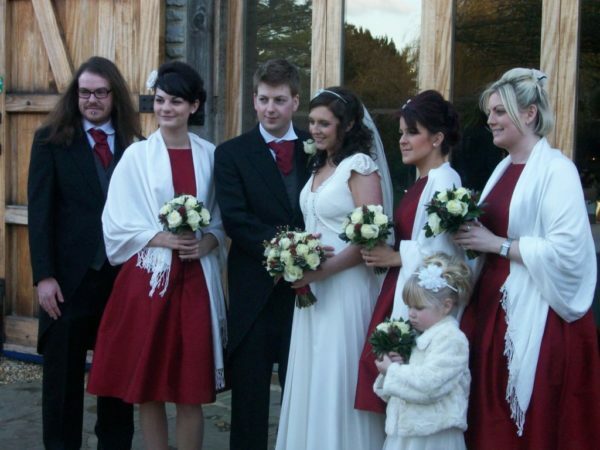 If you would like one before this time that’s not a problem and I will be happy to sort that for you. I’m always on hand to offer advice leading up to the wedding so feel free to contact me. 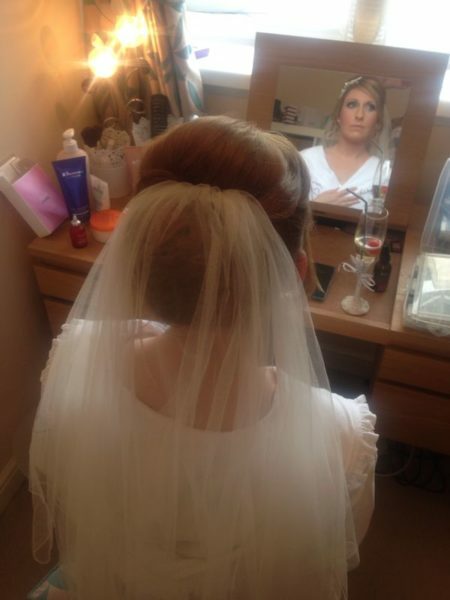 You need to be completely happy with your wedding look so please allow 1 ½ – 2 hours for the trial. 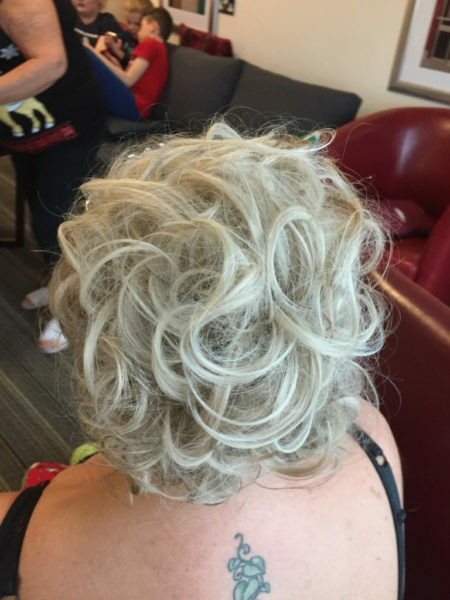 Its also a good idea to bring someone with you for a second opinion. 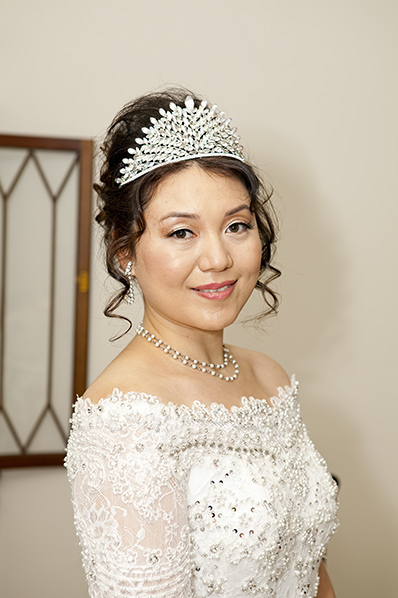 A few days before the wedding day I will contact you to clarify all the details. 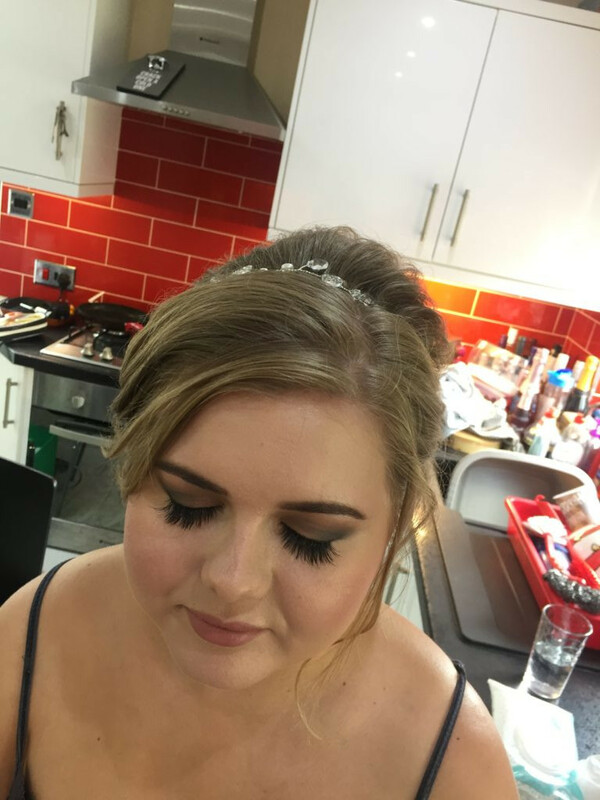 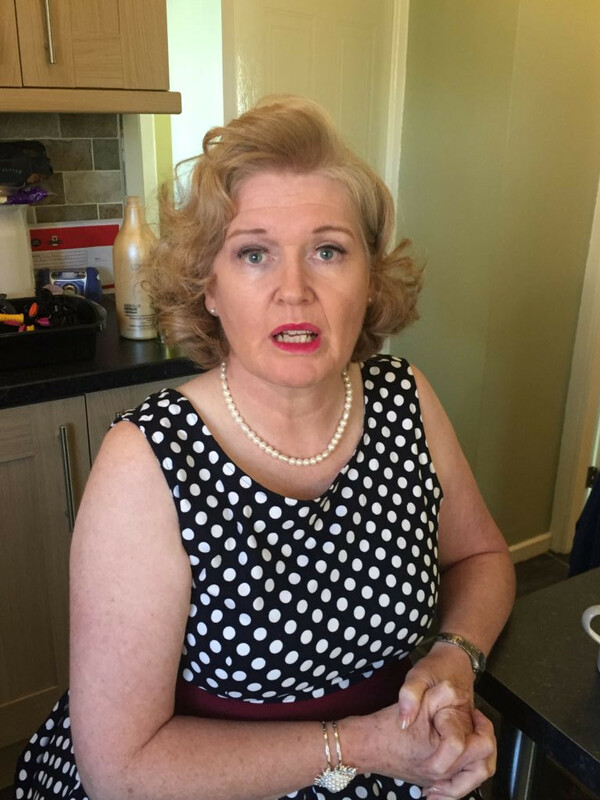 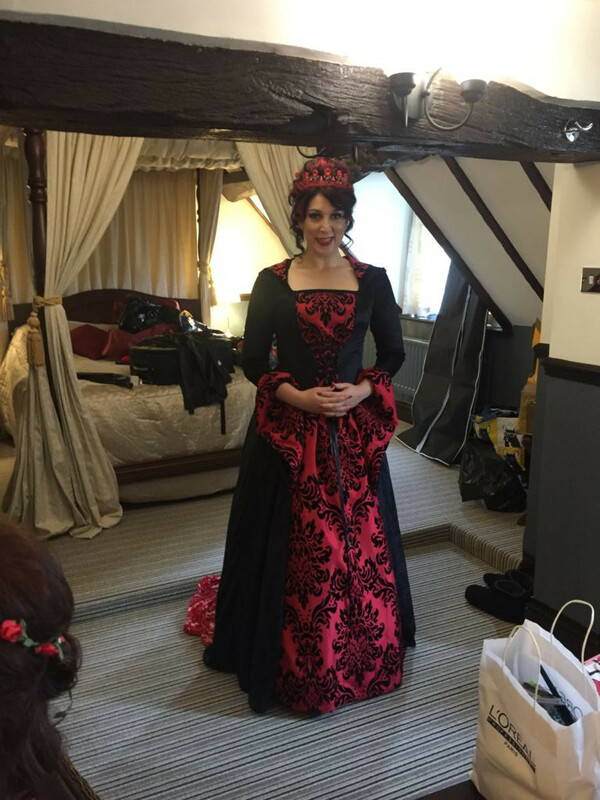 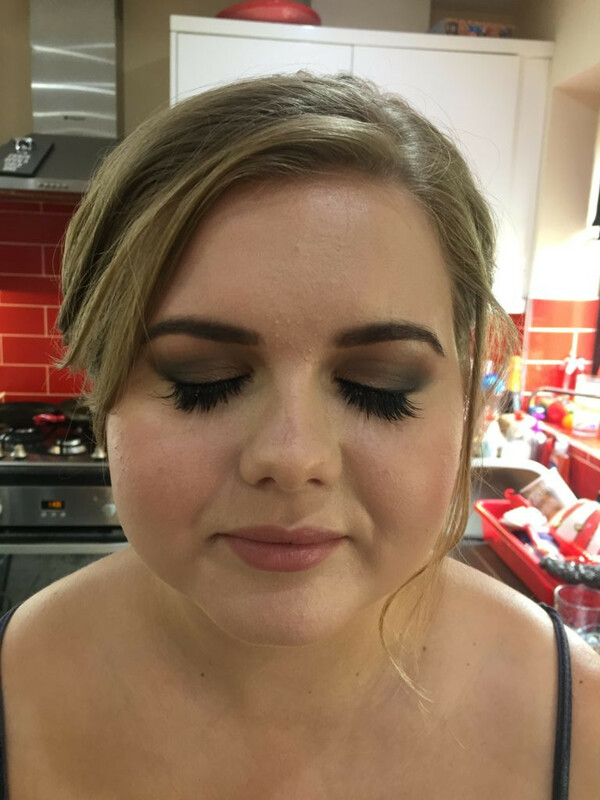 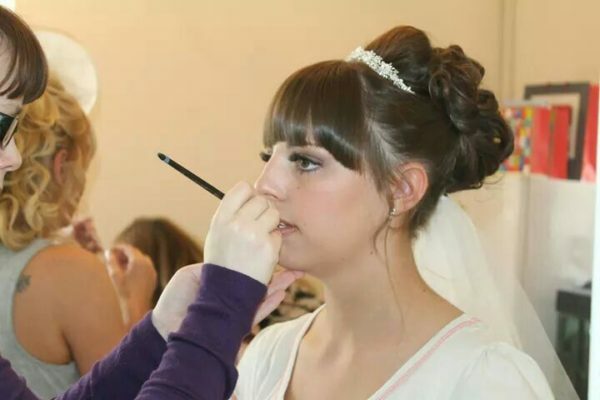 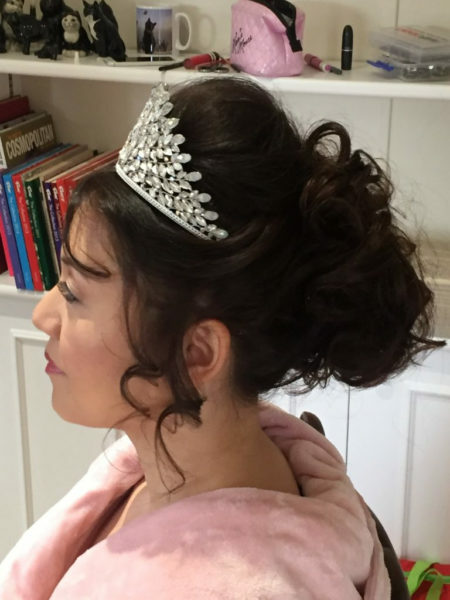 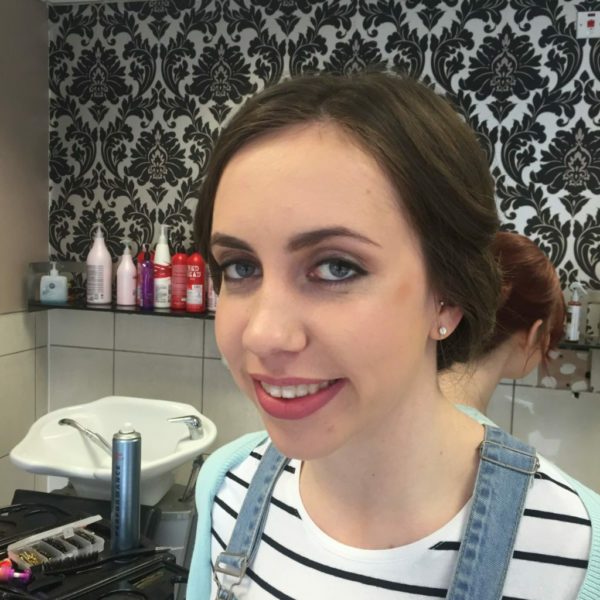 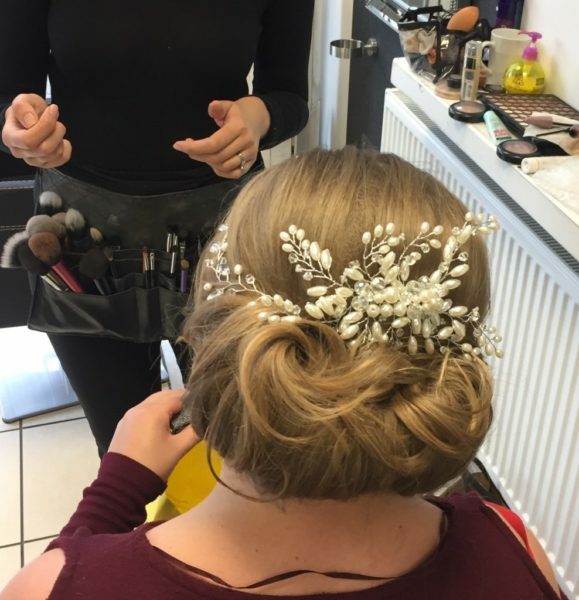 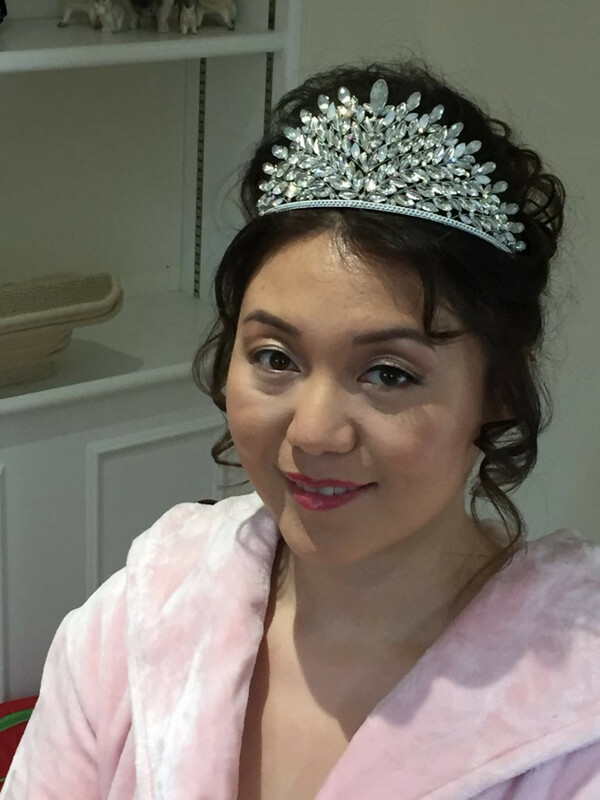 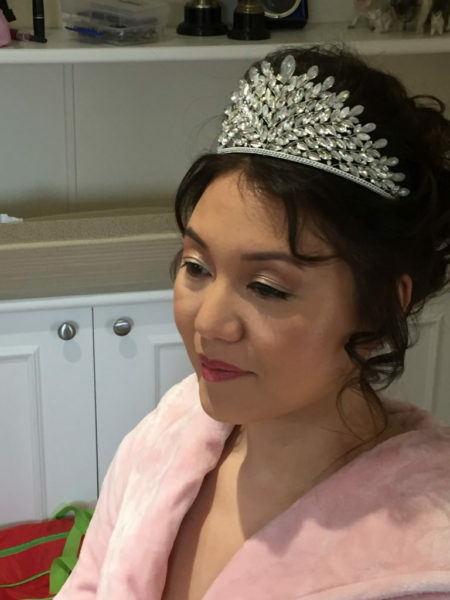 Myself and any additional stylist and also the makeup artist where required will travel to the destination that you are getting ready at on the morning of your wedding. 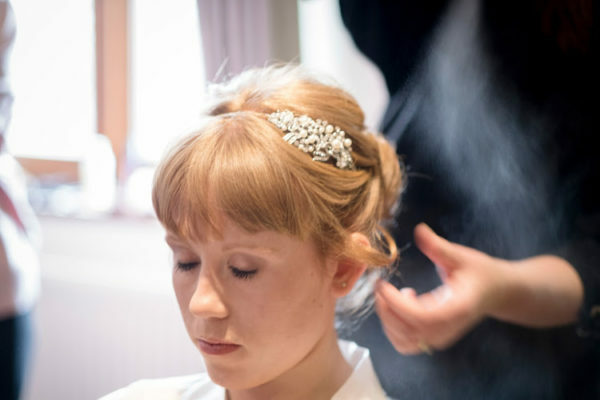 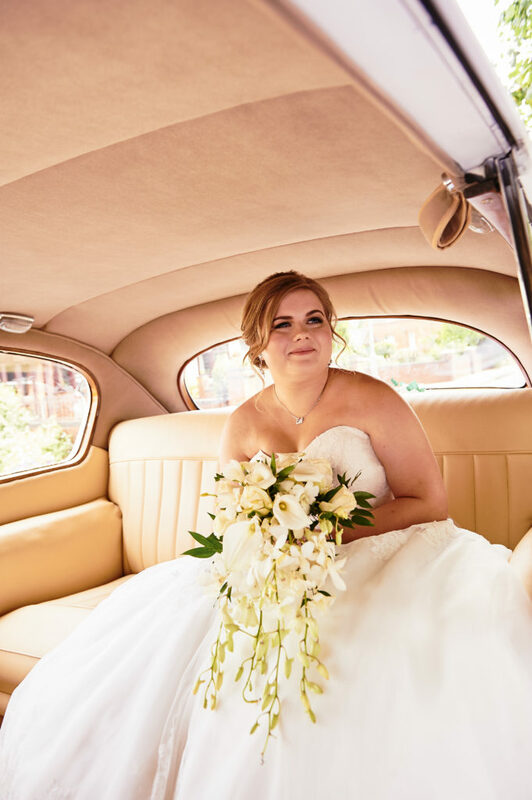 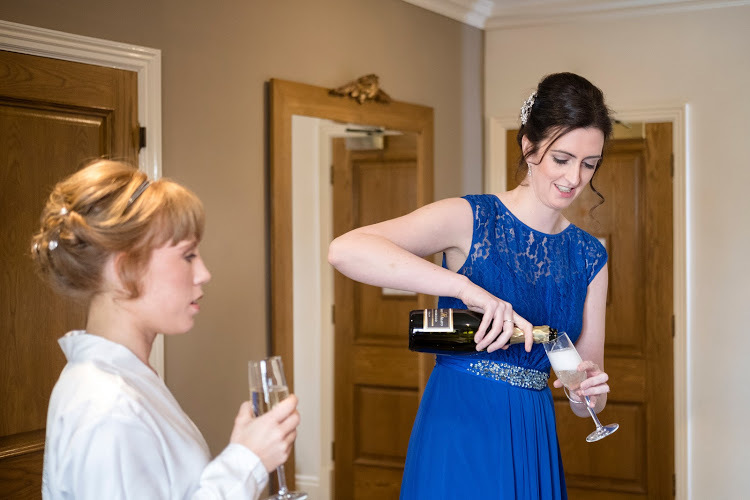 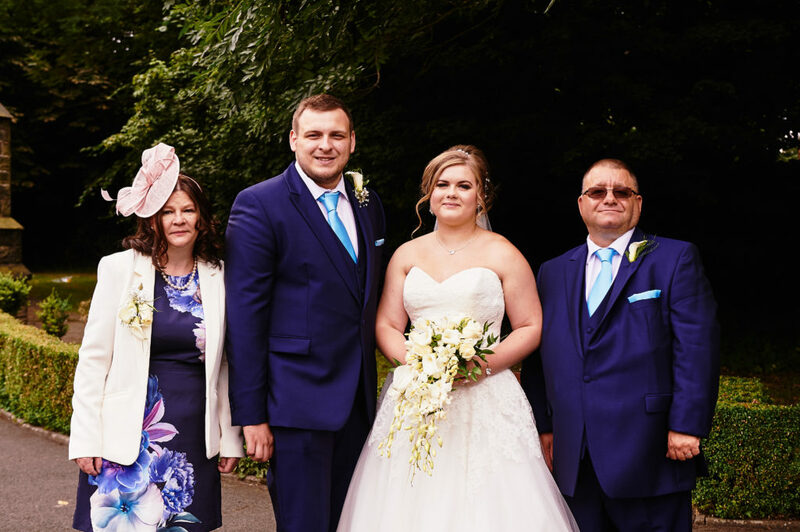 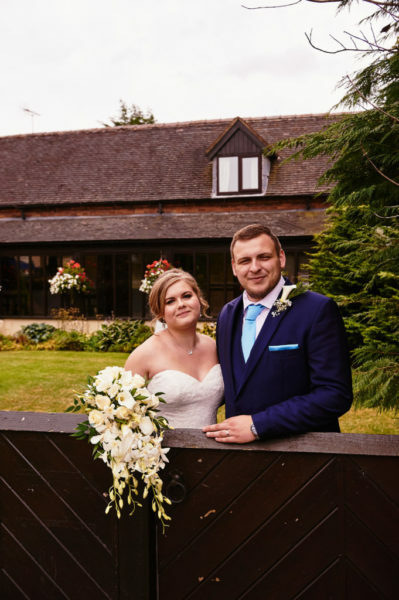 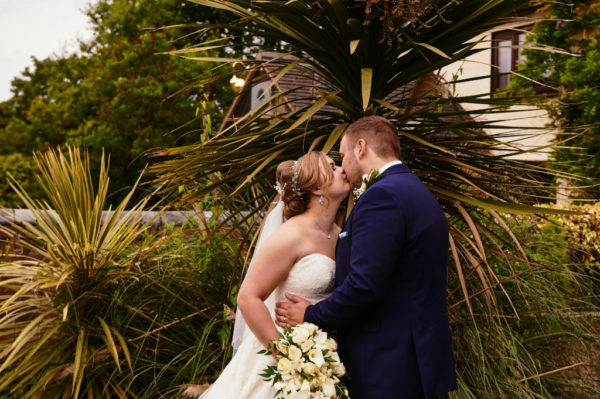 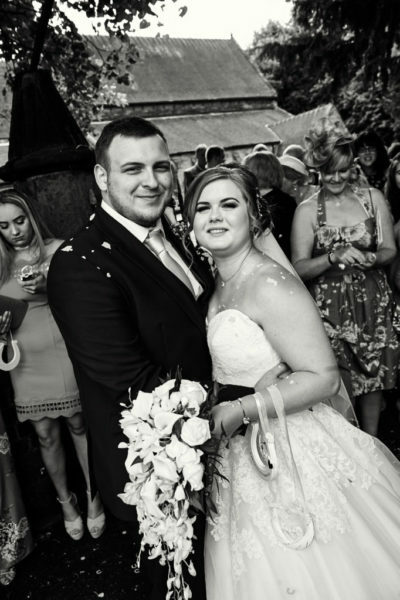 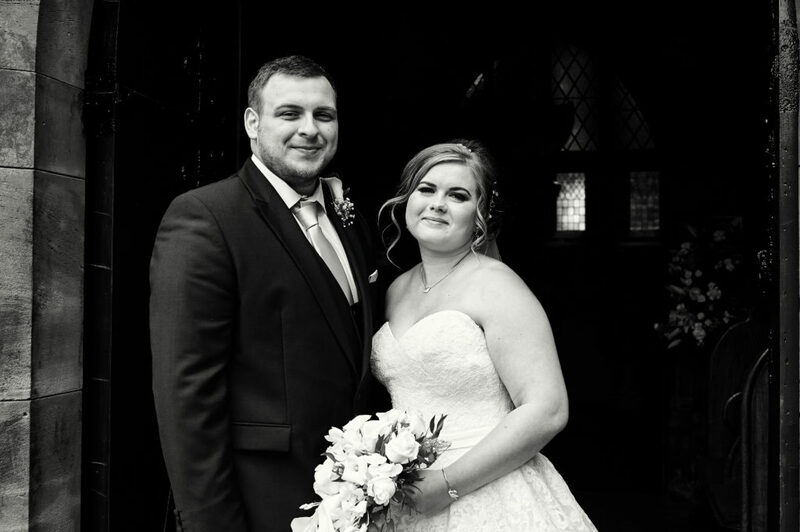 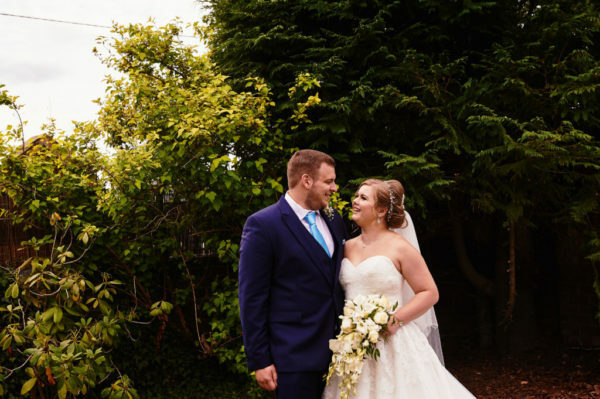 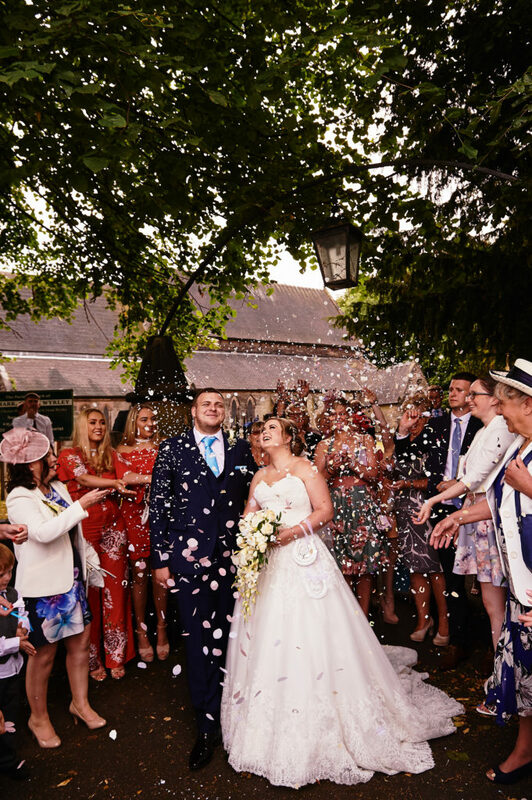 From experience we know that the morning of your wedding flies by so will arrive in plenty of time to prepare you and your wedding party and be finished in plenty of time for you to get into your dress and have photos before the ceremony. 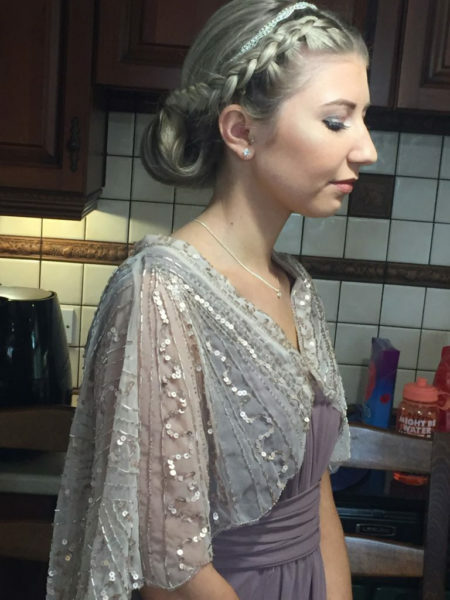 I can also stay for finishing touches after your dress is on if you need me too. 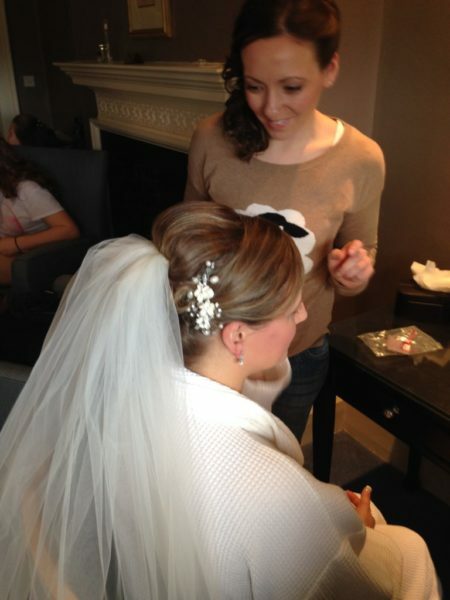 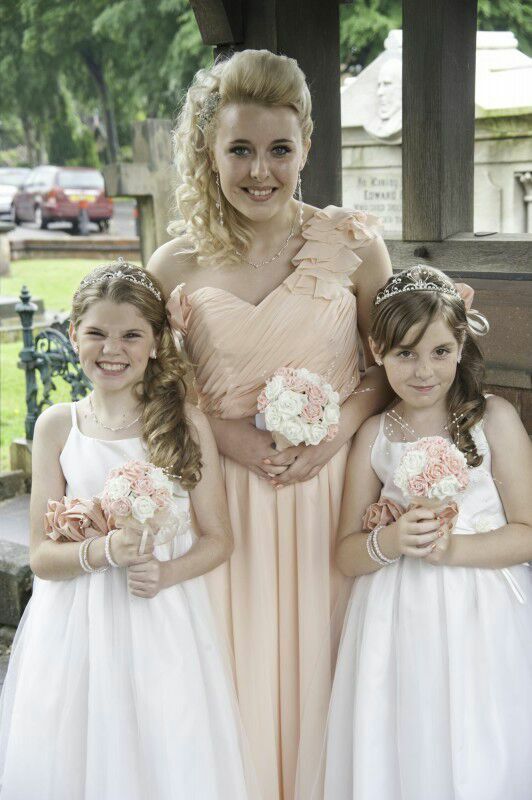 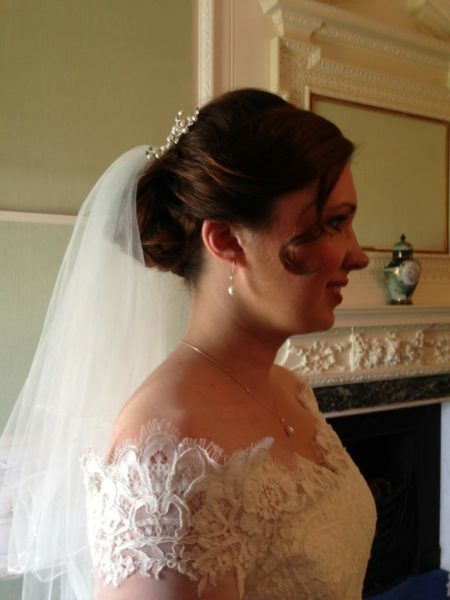 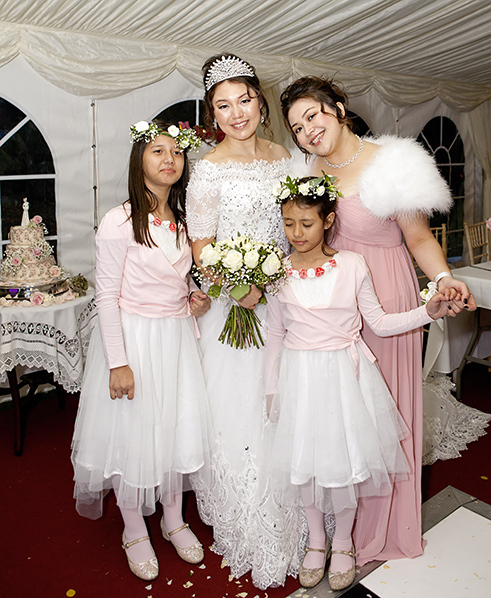 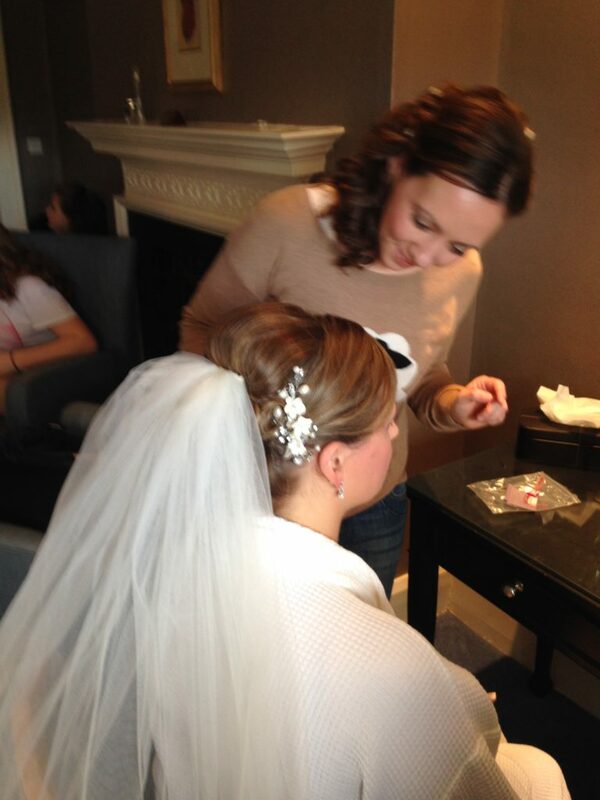 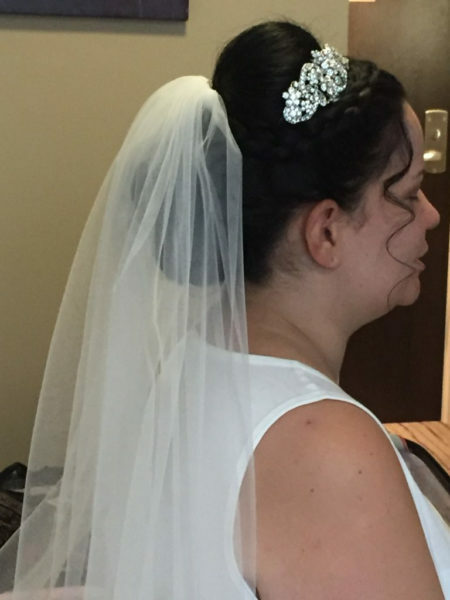 Fitting of all hair accessories and veil is included in all our prices. 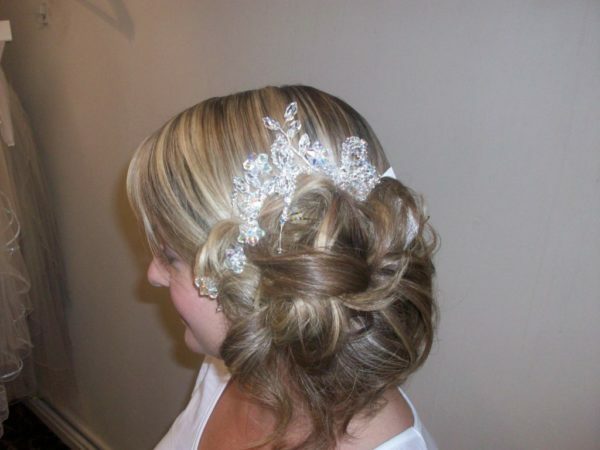 Luxury gift for the bride.